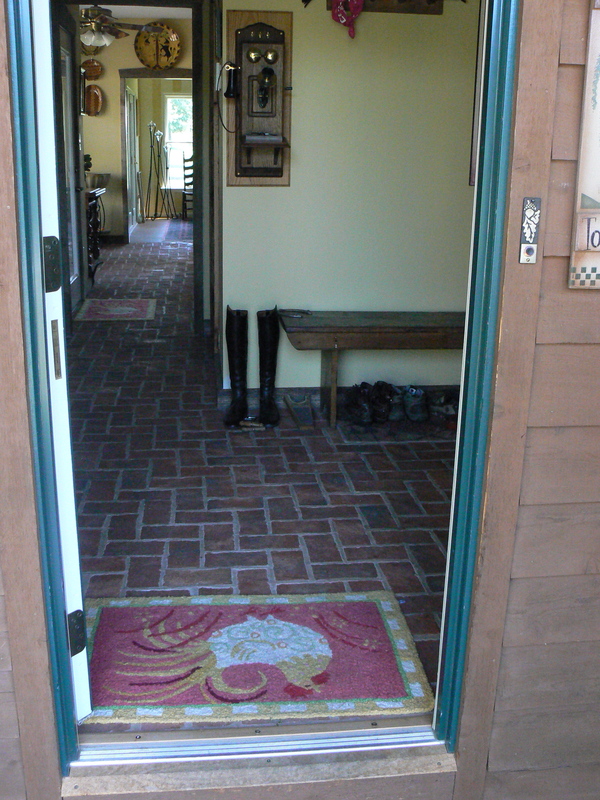 Welcome to our Inglenook Tile blog! Here, we share useful information and our enthusiasm for historic buildings, innovative design…and our handmade brick tiles. Who would ever think thin brick tile could be so exciting? When we started our company in our front hall 14 years ago, we didn’t know how many people would share our high standards for an authentic-looking antique brick floor. When we attend trade shows, people rush into our booth and exclaim, “This is exactly what I have been looking for, and could never find!” Our customers call to tell us how great their projects look. They send us pictures — and also their friends. The relationships we have built have been a wonderful part of our Inglenook Tile journey. It has also been exciting to grow our business, as our lives have become infused with the life of our company. In the last 14 years, there have been many changes. From the first production at our home, we moved it to Veterans’ Industries, a work facility of the Lebanon, PA VA Hospital. Our tiles were made by veterans in rehabilitation at the hospital. When they closed Veterans’ Industries, we moved our equipment to a warehouse in Kinzers, PA, again employing veteran workers, this time from the work restoration program at the Coatesville, PA VA Hospital. We currently partner for manufacturing with Vision Resources, a non-profit benefitting the blind and vision impaired, and Carlisle Clay, a ceramic company run by ceramics professor, Jim Lard, both based in Harrisburg, PA.
We keep raising the bar on ourselves, by both improving our ability to produce and by adding new colors and designs. Tell us what you are looking for! We are always listening to you and your suggestions, and most of our new products have been added at your request. How can we do better? Call us with any ideas of what you would like to see covered on our blog, or any tiles you would like to see us offer. Visit often for new postings, products and ideas! Visit our website: www.inglenooktile.com or call 717.806.3900 for more information.